The best time to clean a trampoline is on a sunny day so that you can dry off the trampoline quickly once you have washed it. Using the long brush sweep off the main part of the mat to get rid of all the loose dirt and debris. Then if your trampoline is the type with springs, get someone to hold up the rim mat that covers the springs and sweep off all the debris through the springs. Use your hose and give your mat a good soaking. Gently scrub your trampoline mat with the soapy warm water and soft brush or scrubby things. Don’t scrub too hard as you don’t want to damage the material. You can either work in section then stop to rinse, or scrub the whole mat off before rinsing. Use your hose to rinse all of the soap off the mat. Use the towels to dry the mat as best you can then leave it uncovered so that it air-dries. Once you have cleaned and rinsed your trampoline mat, start working your way around the springs and protective pads, using your warm soapy water to scrub them down. Clean your trampoline mat regularly. Some people recommend using rust protection to spray on the springs and your ladder. If you see small spots or rust forming on the springs of the trampoline you can make a solution of 3 parts water to 1 part vinegar and using an old toothbrush, scrub the affected area with the solution and then rinse it. Avoid using any chemicals to clean the mat as they may damage the material. Certain chemicals can interfere with UV resistance on the mat. Soap and water should be all you need to keep your trampoline clean. In fact, most just need a good spray down a few times a year to stay in good condition. Keep your trampoline pad either stored away indoors, or else roll it up and anchor it down from blowing away outdoors. 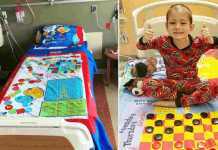 Or keep your trampoline mat covered when it’s not in use with a weather cover to prevent it from getting dirty or from getting weather damaged and drying out. Even mats with UV-resistance can dry out over time because of extreme sun exposure. Once the fabric dries out, holes can form and become hazardous to jumpers. 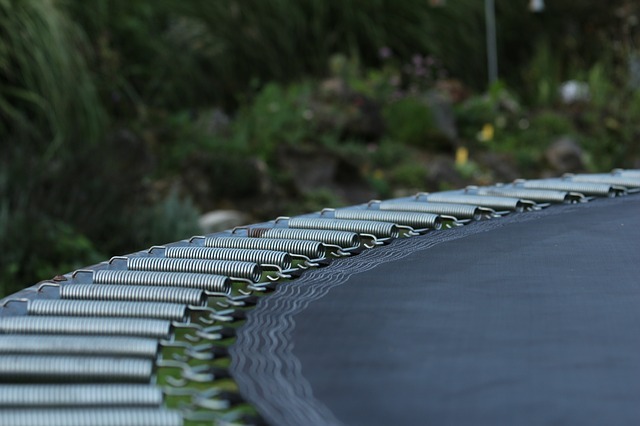 You can buy products for preventing fading and damage but make sure to buy these from trampoline manufacturers so that they are safe for use on trampolines. Keep a brush and shovel at the trampoline and encourage your kids to clean off leaves regularly. Keep in mind that placing your trampoline under a tree may mean constant leaves and debris falling especially in autumn and winter. 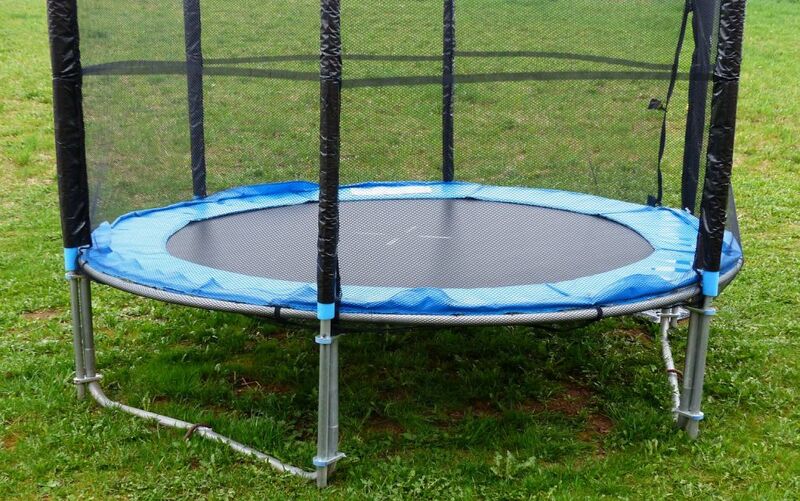 Check your trampoline regularly to make sure there’s no wear and tear, or sagging or tension issues on the jumping mat. Make sure there’s no damage to springs and that the frame isn’t bent. Don’t forget to maintain your net zippers too, use WD40 or grease to help keep them zipping and unzipping easily. While cleaning, inspect your trampoline frame for any rust or damage. If you see any rust starting, apply grease or anti rust lubricant. If you notice the springs starting to squeak or creak, then apply grease or spray lubricant to them. And finally, consider moving to an inground trampoline for much easier cleaning. You don’t need a net so you can generally just brush off your inground trampoline quickly and easily. Plus they tend to be safer, are definitely more convenient if you have younger kids, and are not difficult to install. Plus a big bonus is you never have to clean or mow underneath your trampoline! Over to you now. 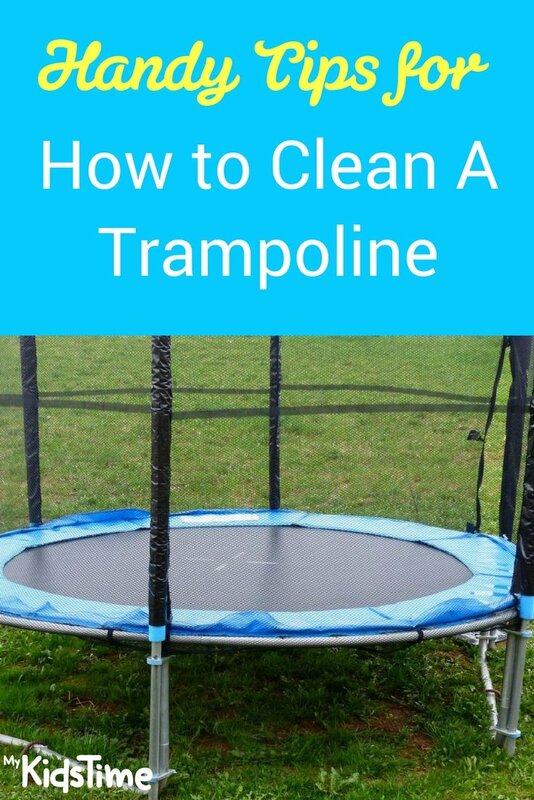 Do you have any tips for how to clean a trampoline? Share them with us in the comments below. Previous articleCAO Change of Mind Deadline is July 1st 2018 – Has Your Teen Made the Right Choice?